Making changes in a trio can be risky a thing. If there's a special chemistry in a group, the slightest change in the lineup could spoil the magic of the music. 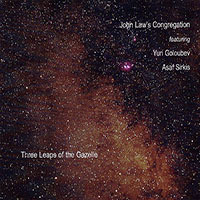 For years, pianist John Law has had an effective formula with his Art of Sound Trio, with drummer Asaf Sirkis and bassist Sam Burgess, but Three Leaps of the Gazelle announces a significant change: Burgess is replaced by bassist Yuri Goloubev, a virtuoso musician and an old acquaintance of the pianist. Fortunately, this change only adds to the qualities of the music. 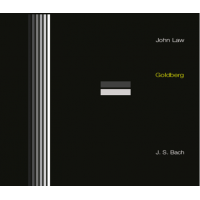 Like Law himself, Goloubev has a background in classical music and the trio benefits immensely from his uncanny ability to navigate safely in the murky waters of modern jazz and classical. This is especially apparent on a thrilling interpretation of Law's ode to Baroque music, "Three-Part Invention," where the trio swings with ethereal elegance and makes the composition principle of the fugue burn like a bop piece played late night at Minton's Playhouse. The empathy and understanding between these three musicians is a joy to behold. Besides being technical superior on his instrument, playing on the whole palette of the keyboard, Law is also a diverse composer who is able to construct epic pieces of great complexity, but he also has the ability to write a simple melody that goes straight into the heart. An example is "The Quiet Dignity of the Minor," written after Law heard a radio program documenting the British miners' strikes of 1984. Here, a beautiful, melancholy melody is repeated and expanded and bathed in washes of keyboards while Sirkis whispers softly with his drums. Another characteristic of the group is the continued interest in exploring different sounds, which is apparent in the use of hang drum on the title track and the enchanting field recordings of singing cicadas on "Insistence." But these effects never become a goal in itself; instead they help to enhance the atmosphere. Three Leaps of the Gazelle finds Law and his cohorts at the top of their game. It would be hard to find a more innovative and sympathetic trio working in jazz today. The album is another aesthetic leap forward for Law and it is only to be hoped that this incarnation of the trio will have a long lasting life. Track Listing: Three Leaps of the Gazelle (For Luke Deane); Triadic ballet; Three Part Invention; The Quiet Dignity of the Minor; Insistence; Finger on the Pulse; Swazz; Counting Snowflakes. 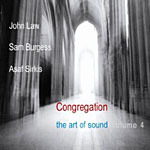 Personnel: John Law: piano, keyboard, iPod; Yuri Goloubev: double bass; Asaf Sirkis: drums.